Building solutions provider Holcim Philippines launched on July 26 "Holcim Helps," a campaign to better communicate its social and environmental programs and commitments to have a more positive impact on development. 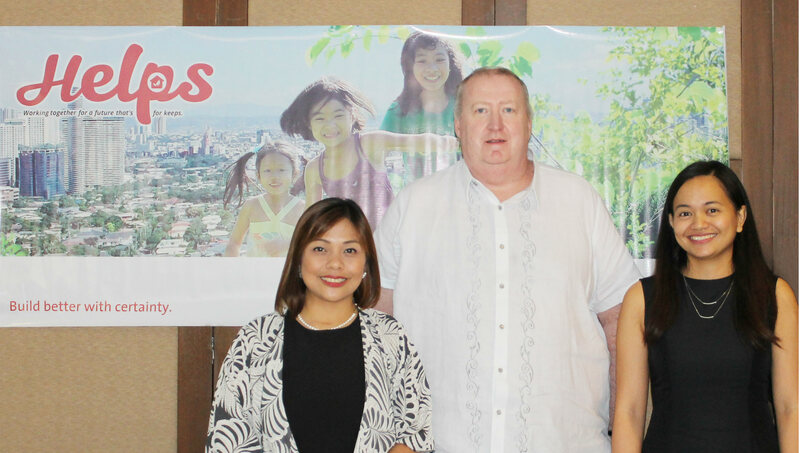 From right are Holcim Philippines Head of Communications Cara Ramirez, President and CEO John Stull and Environment Manager Stephanie Frogoso during the launch. Holcim Philippines unveiled these plans on July 26 during the launch of “Holcim Helps,” a campaign which standardizes the communication programs of its various sites for their communities particularly on social and environmental initiatives. The campaign also follows the LafargeHolcim Group’s sustainable development strategy which includes a set of actionable goals to contribute to the global efforts in tackling the pressing issues stated in the United Nations’ Sustainable Development Goals. Holcim Philippines President and CEO John Stull said that “Holcim Helps” aims to make its communities and the public better understand and appreciate that Holcim Philippines’ programs are about working with our partners for a future for keeps. “Holcim Helps” also underscores our goal of making our programs a collaboration with our communities instead of charitable donations as the primary form of assistance. Instead, our goal is to partner with them to better understand their needs and equip them with the means to improve their lives through capability-building initiatives for a more sustainable and lasting positive impact,” he said. Since 2015, Holcim Philippines corporate citizenship programs have benefited close to 300,000 people in its communities and beyond. Education programs have received the largest share of funds for social programs at 32%, followed by livelihood and employment, as well as shelter and infrastructure that have each cornered a quarter of the budget, respectively.